You know the drill: disclaimers first! 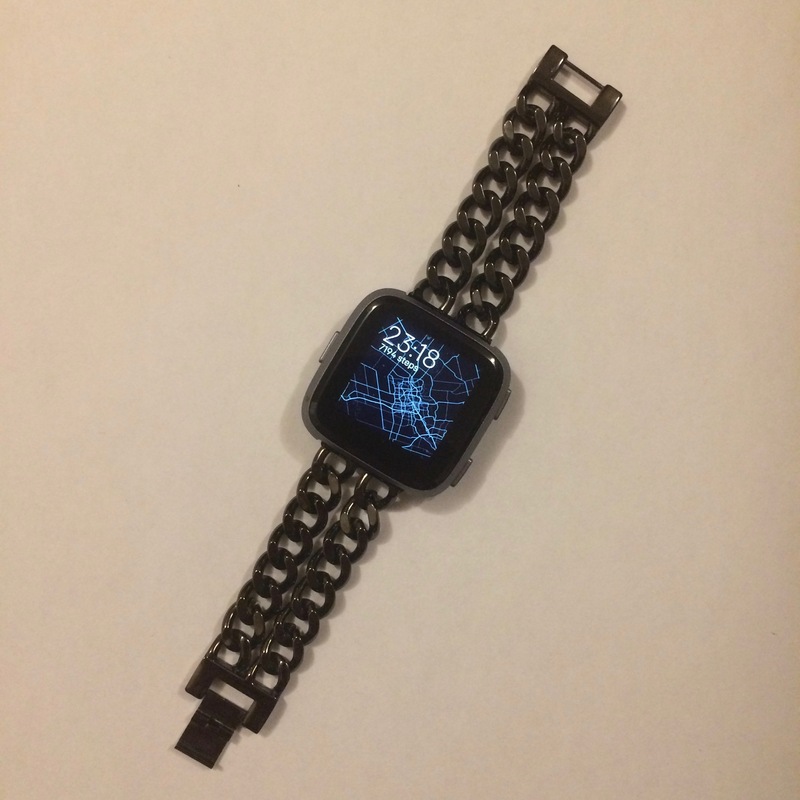 Elobeth, a smartwatch accessories maker, reached out to me after I published my Fitbit Versa review, and graciously offered to send me two watch bands in exchange for a review. So to be clear: Elobeth has given me these straps, but otherwise hasn’t looked over this review nor seen its contents before I’m putting it online. All they wanted was a review, whether positive or negative. I chose the stainless steel strap, pictured to the left, and the classic silicone strap. I’ve worn each strap for a week, going to class and sleeping with either one of them on. TL;DR: Good strap with the exception of the attachment mechanism. Looks good. 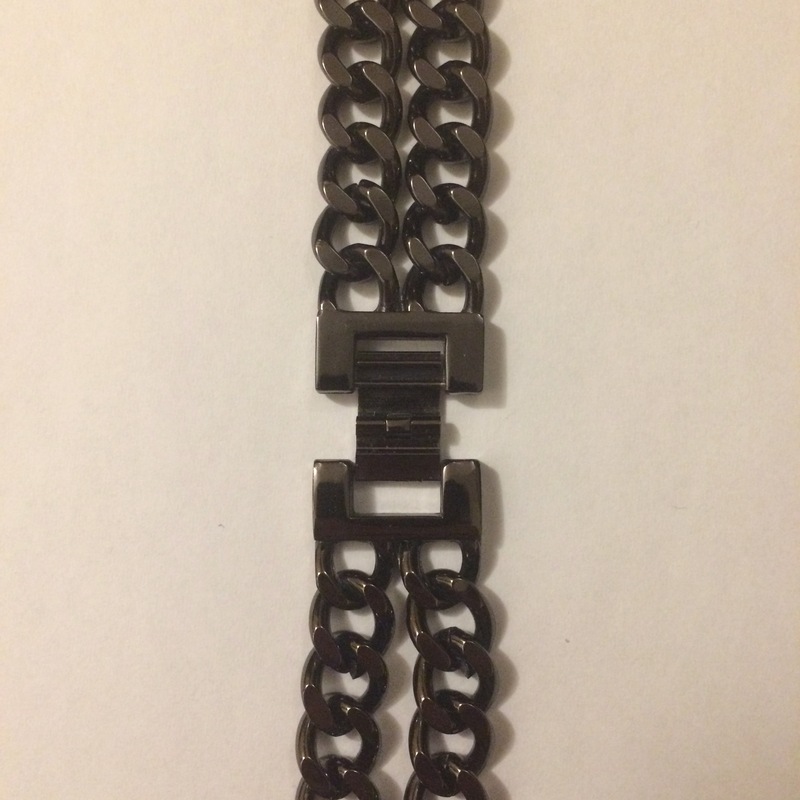 I’ve had people tell me that they like this watch strap better than the other ones I’ve worn. Solid. Links feel strong and haven’t fallen apart (although granted, it’s only been a week). Options for fitting: strap comes with three additional removable links, each adding 1.5cm to the 13.5cm base length. 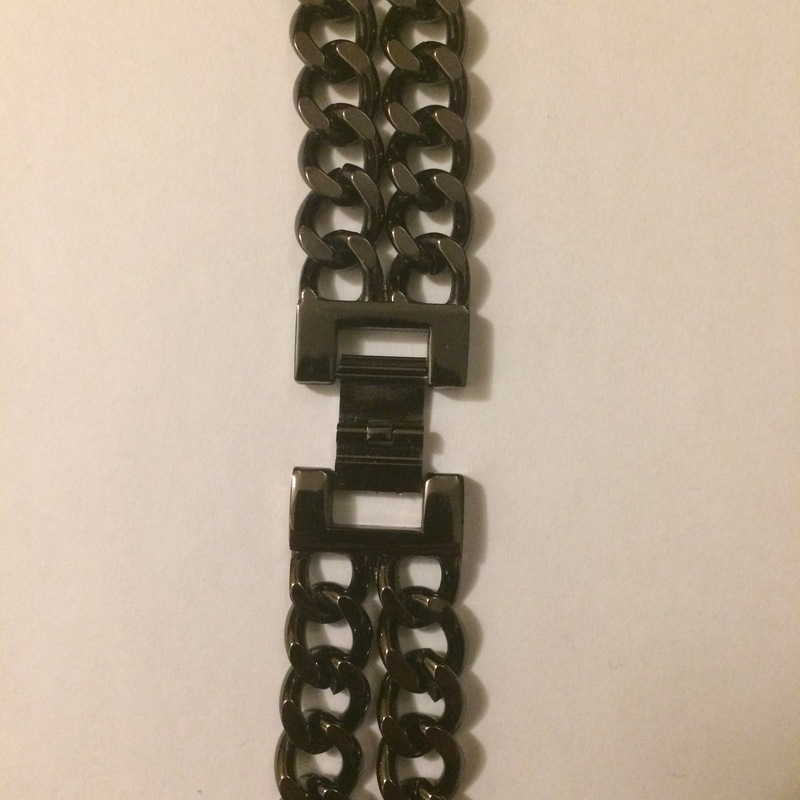 This means the watch strap ranges anywhere from 13.5 to 18cm, which is good for a small to medium wrist size. Quick remove pins make the strap easy to switch out from the watch. The pins are also made for the Versa, meaning that they are a little bit bigger to account for the recessed divots in the watch. Good breathability. Summer is hot. Summer is sweaty. With this band, there’s a lot of space for your skin to cool down. Decent price. 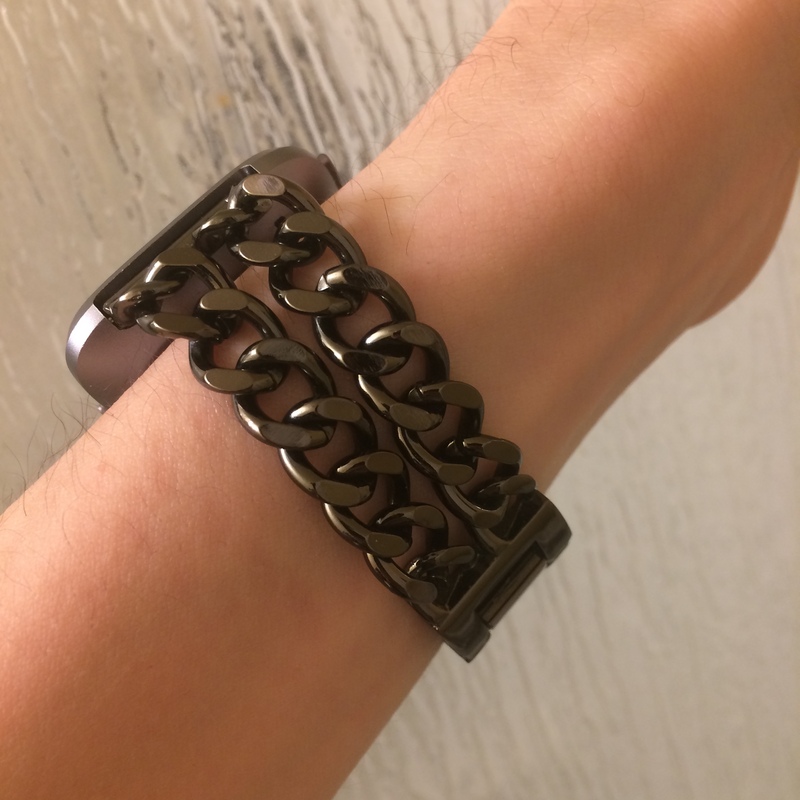 It’s $20, which isn’t bad for a good stainless steel strap. 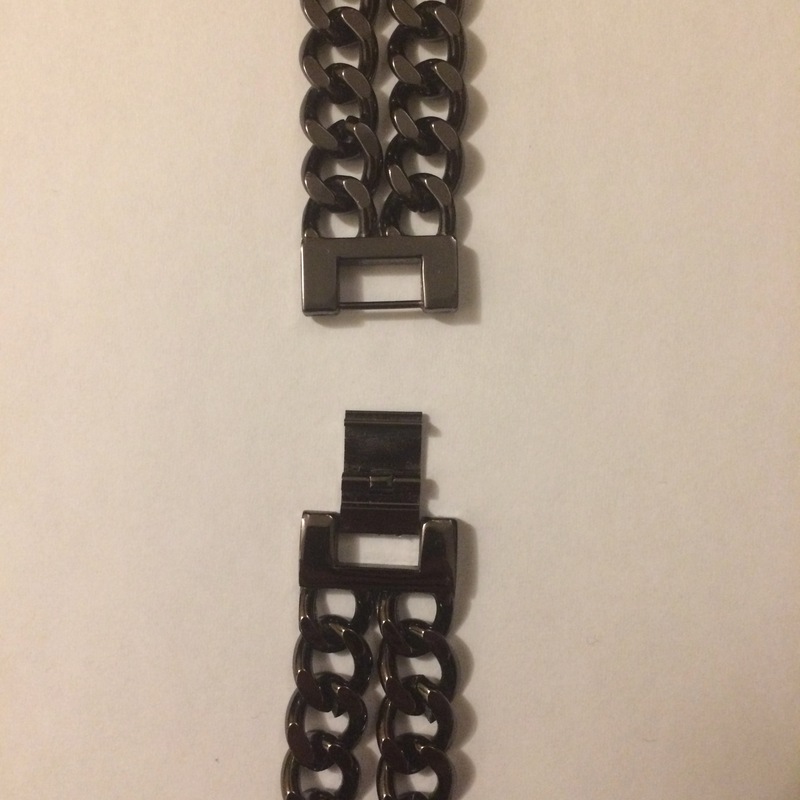 For comparison, Fitbit’s metal straps cost $100 each. Not waterproof. The pins won’t fare well with water, and will likely cause this strap to rust. Attachment mechanism is not intuitive. In fact, it was so intuitive that got another engineering friend to try and understand how it worked, before concluding that it couldn’t be done. I had to email Elobeth support to be corrected and find instructions. Here’s how you do it: First, put one of the links underneath the other. Thread the big rectangular part through the hole created by the pin/lugs on the other link. Finally, click into place. Removing the band is slightly easier, but not by much. 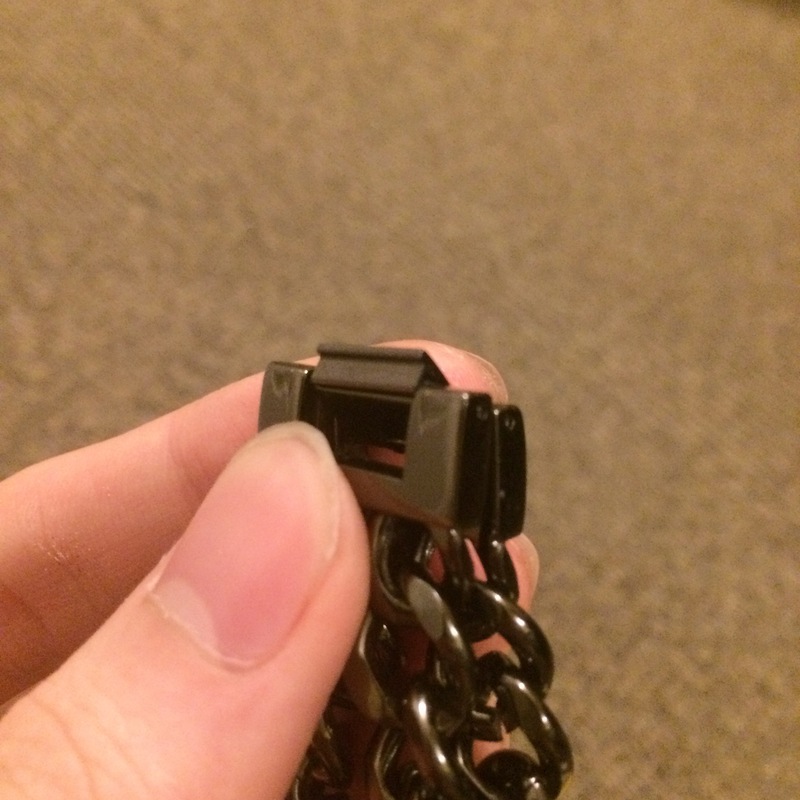 You’ve got to get your nails under one side of these links (first image, not second), and then pull to separate it from the other link. It makes no sense when described with words, and pictures are the best way to describe how weird it is. 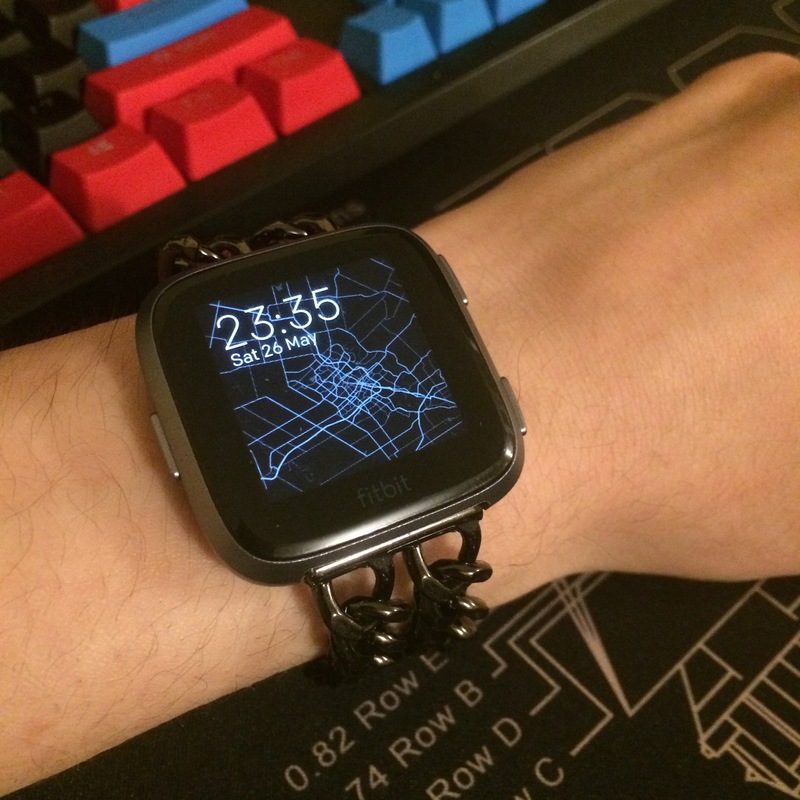 In spite of its weird link attachment/detachment method, I’m really liking this strap. It’s unique, it’s catchy, and it’s comfortable to wear. This strap is my current daily driver, and will be for at least a few more weeks! 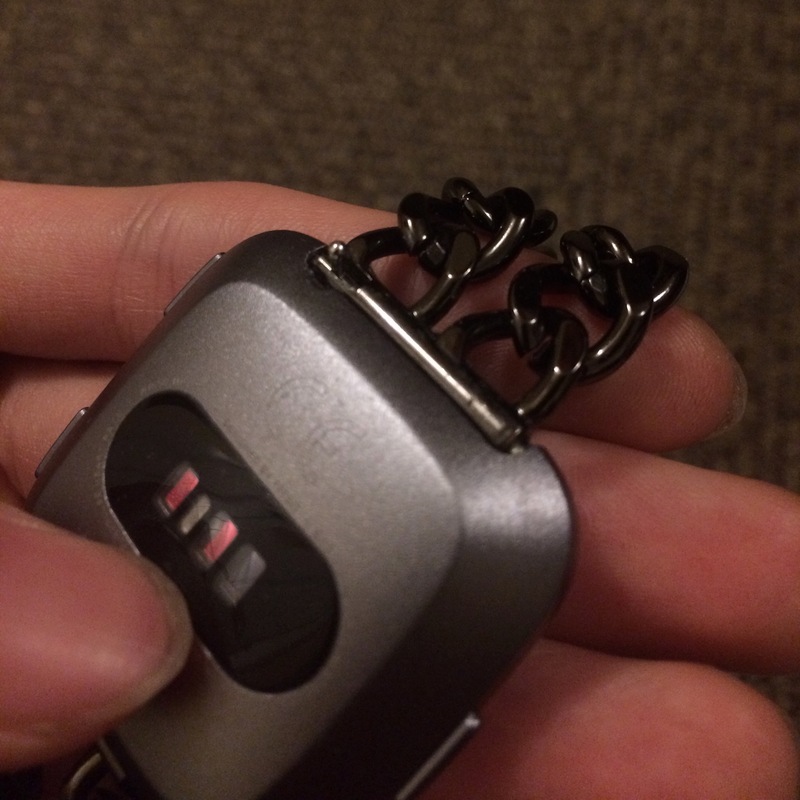 As long as you’re not constantly removing and re-attaching links, this strap is generally pretty awesome. TL;DR: Decent, but nothing special. Similar to Fitbit’s silicone straps. They feel similar, but these ones are a tad softer. 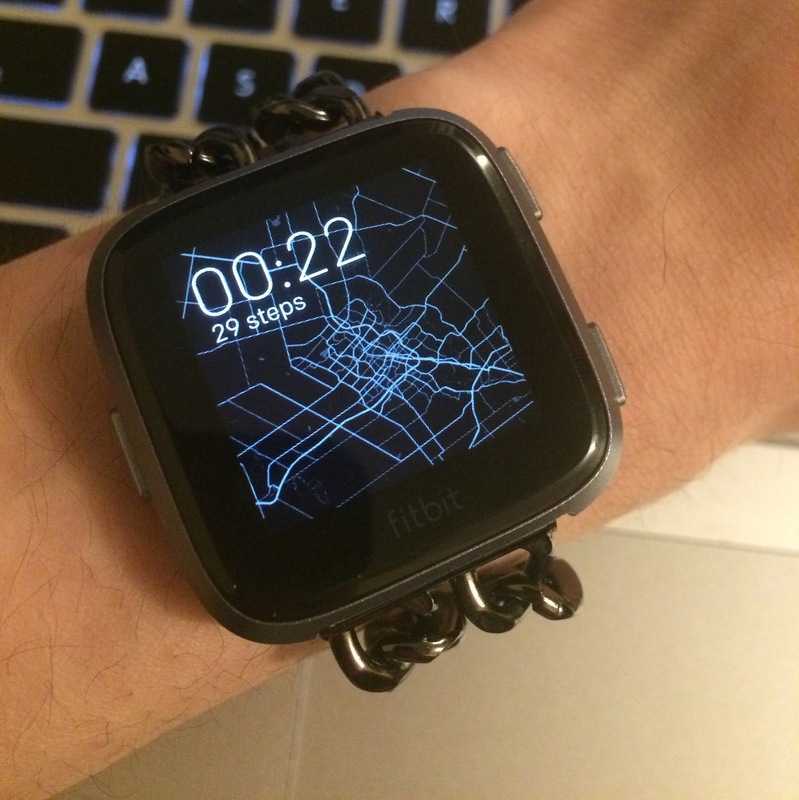 Personally, I always found the Fitbit straps a little too rigid for my tastes, so this is perfect. Good colour options. Grey, purple, blue, and pink. You can’t get purple nor blue with Fitbit. Quick remove pins make the strap easy to switch out from the watch. 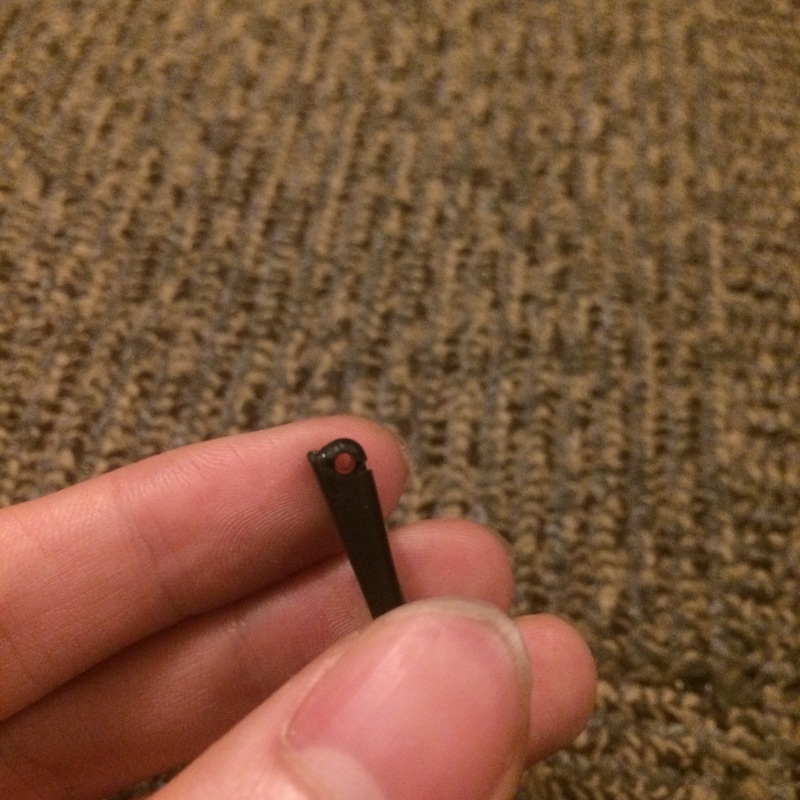 The pins are also made for the Versa, meaning that they are a little bit bigger to account for the recessed divots in the watch like the stainless steel band. 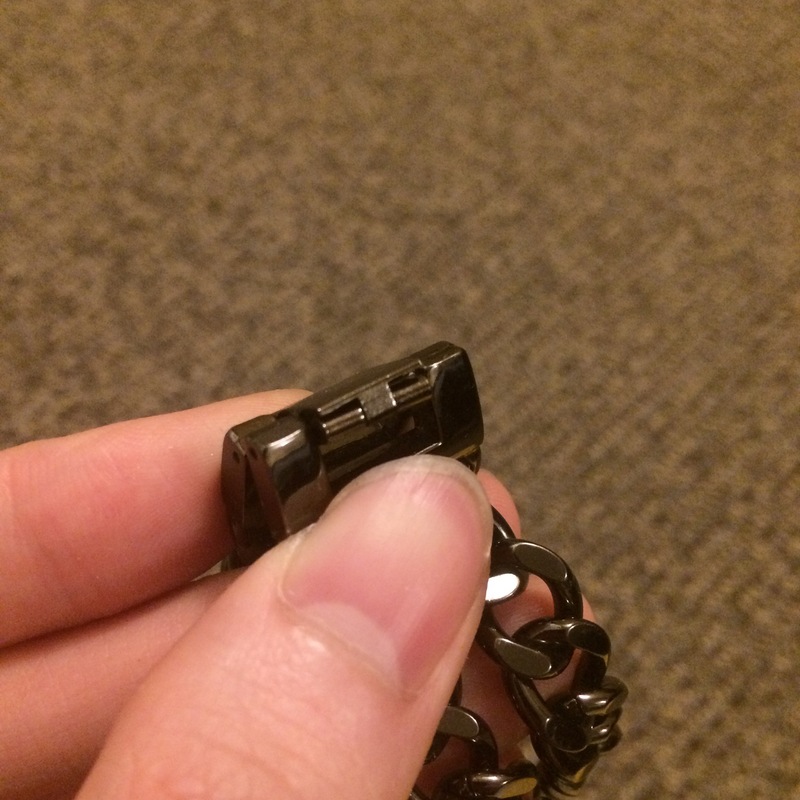 In addition, pins are removable, so even if you lose them, you can use other pins to attach them to the Versa. One-size-fits-some?. Matches Fitbit’s small wrist size, so if your wrists are larger, tough noogies. Buckle not colour-matched. It’s a small detail, but I’ve always liked how Fitbit colour-matches their buckles to their bands–the black band has a black buckle, the peach band has a pinkish buckle. 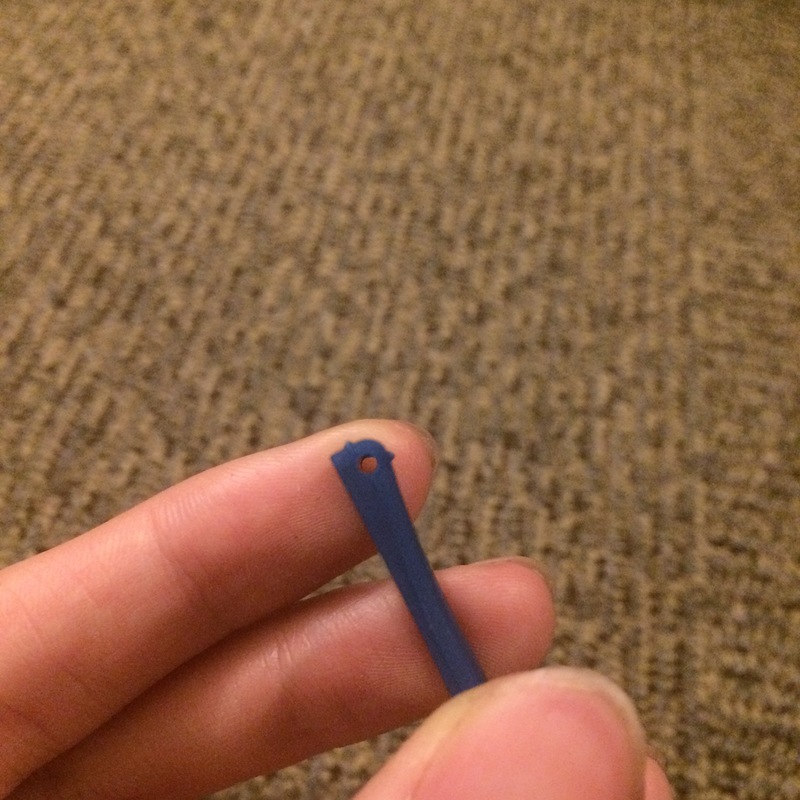 This navy blue silicone band by Elobeth has a shiny silver one that sticks out. Price. It’s $11. 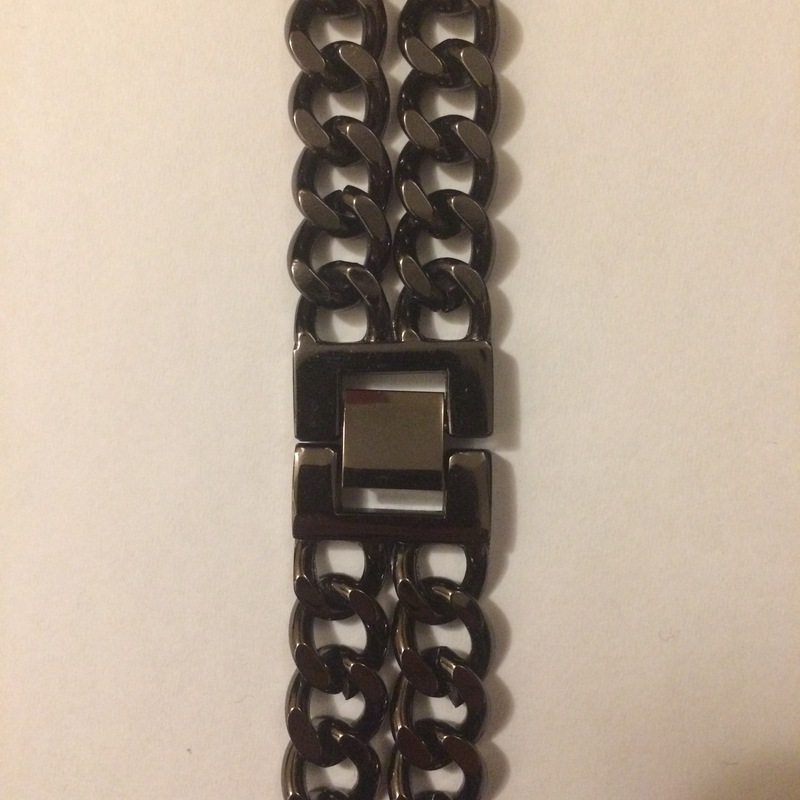 For $8 more, you could have the stainless steel band. This is a decent band. 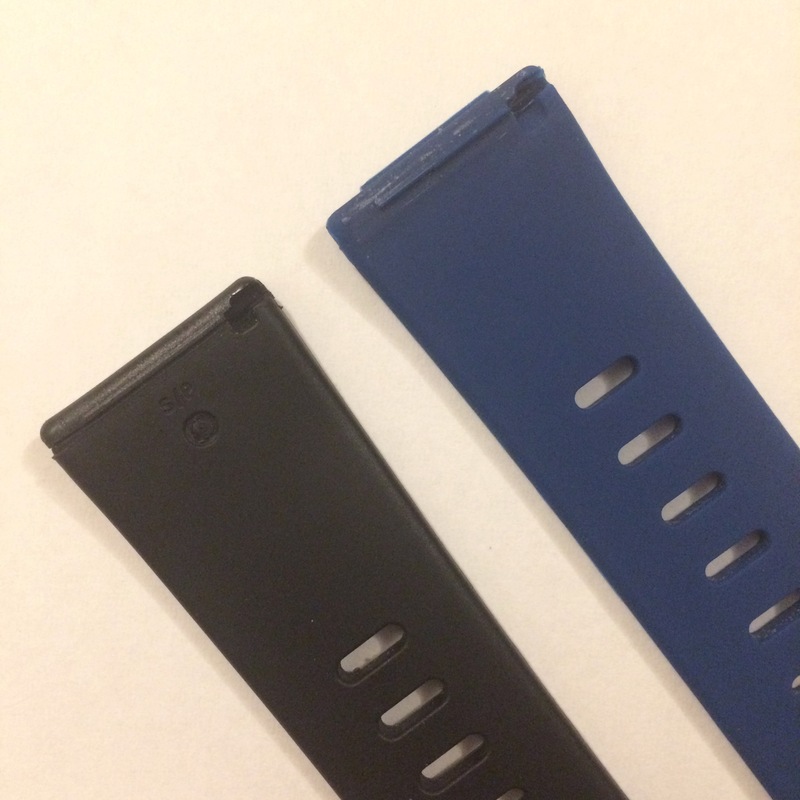 It just doesn’t really do much to stand out against all the other possible bands that you could get for your Versa, other than having two more colour options than Fitbit does. Thanks for reading, and see you again soon!